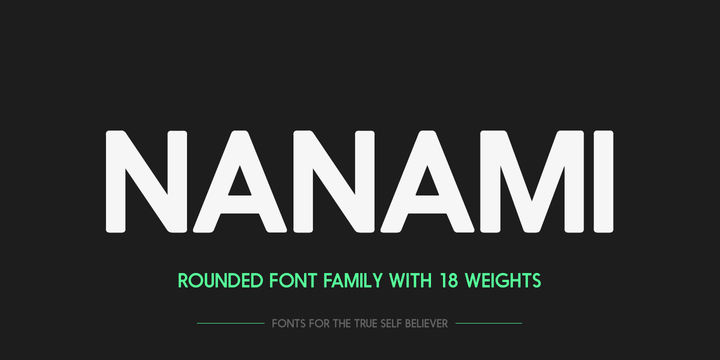 Nanami Rounded is a geometric sans-serif typeface created by Alex Haigh and published by Thinkdust that consist 18 weights from Thin to Black ideal for text, headline, poster, logo, magazine etc. Also it has support for over 50 languages. A font description published on Monday, September 16th, 2013 in Fonts, Thinkdust by Alexandra that has 5,553 views.